Home » Articles » What is Performance Based Investing? Maybe you’ve heard this line of reasoning before: You can’t time the markets, so just stay invested through all the ups and downs. Or this one: You should invest most of your portfolio in stocks when you’re young, and slowly transition your portfolio to bonds as you get older. These are two of the most common misconceptions perpetuated by the investment community. Unfortunately, many people adopt these beliefs as norms when it comes to investing, and as a result, end up experiencing years of subpar investment performance. In this article, we’re going debunk these two myths and I’m going to show you a cutting edge investment strategy that will change how you invest. Buckle your seat belt. When people say you can’t time the markets, what they really mean is they can’t time the markets. Understanding the ebb and flow of economic and market cycles is difficult, but it’s not impossible. And more importantly, it’s a prerequisite if you plan on getting the most out of your investments. Frankly, it astounds us that people continue to advocate this, but we think we understand why. Most people who are trying to time the markets are attempting to do so over the short-term. They’re essentially traders looking to capitalize on quick market moves. If you’re interested in that, you can quit reading right now. The rest of this is not for you. Short-term market moves are filled with what’s called “noise.” These are sharp moves driven by short-term events that are often quickly reversed, and end up amounting to nothing (hence the term “noise”). If we were forced to only engage in short-term trading, we’d probably have to agree … it’s very difficult to time the markets. But over the long-run, it’s an entirely different story. You may have noticed that our economy and financial markets move in cycles. Lasting roughly 5-10 years a time, we see major expansion of the economy and asset prices, followed by severe contractions. If you’re in your 40’s or 50’s, you’ve lived through a half a dozen of these cycles, if not more. Now here’s the thing, these periods when asset prices rise and fall for long periods of time are absolutely predicable. We see warning signals in everything from leading economic indicators to interest rate spreads to trade flows to exchange rates, corporate profits, asset prices, investor psychology, and much, much more. If you didn’t see the writing on the wall leading up to the financial crisis, it’s probably because you didn’t know where to look. Don’t worry, though, unless you’re a professional investor, that’s not your job. It’s the job of whoever you trust for investment advice. To recap, timing the market over short intervals is a fool’s errand. But when it comes to managing your investments over multiple market cycles, timing not only works, it’s a requirement for success. Without some type of market timing strategy, you’re retirement will be subject to the whims of the market. When stocks, for example, lose over half their value as they did during the financial crisis and dot-com collapse, you’ll be taken along for the ride. Let me ask you a question. Do you really care whether you’re invested in stocks vs. bonds? Think hard about that before you answer. Do you really care about stocks and bonds, or do you care about the performance characteristics that accompany an investment in stocks and bonds? See where I’m headed with this? The outdated asset allocation approach that traditional financial planners have been pushing for decades makes the broad-based assumption that stocks are risky and bonds are safe. This leads them to the inappropriate conclusion that when you’re young, and have time to recover from losses, you should invest primarily in stocks. On the other hand, since bonds are “safe” (ha) you should invest primarily in bonds as you approach and enter retirement. There are so many problems with this line of thinking it’s hard to know where to begin. For our purposes, I’ll try and keep it simple. It is naive to make the broad assumption that stocks are always risky and bonds are always safe. For example, did you know that historically, bonds in the U.S. and U.K. have seen price declines in excess of 60%? That’s a bigger collapse than stocks experienced during the financial crisis. Or how about this: From 1940 to 1981, bonds provided a negative total real return. In other words, some investors who bought bonds in the 1940’s had to wait over four decades just to break even. Still want to be heavily invested in bonds regardless of market conditions? You really shouldn’t care whether you’re money is invested in stocks or bonds. What you should care about, is whether you’re invested in assets that are expected to outperform in the months and years ahead. And the only way you can accomplish that, is through meticulous analysis. Again, unless you’re a professional investor, this is not your job. What is your job, however, is finding someone who you can trust to help guide you through changing market conditions. Now for the fun part where we tie everything together. Hopefully at this point you’re starting to realize that your portfolio mix (between stocks and bonds) should not follow some arbitrary variable such as age. Instead, it should reflect the expected future performance of each of these asset classes. Make sense? You shouldn’t be in stocks simply because you’re young. Nor bonds just because you’re old. Your decision to be invested in either stocks or bonds should be entirely based on how those asset classes are likely to perform in the months and years ahead. And as conditions change, you need to remain nimble, ready to adjust your portfolio to accommodate new developments. This is what Performance Based Investing is all about. It’s about doing the homework, understanding the economy, markets, and investor psychology, and investing in the assets that are most likely to exhibit strong performance going forward. As I said at the top of this article, we don’t care about assets, we care about performance. A quick analogy may help drive this in. Let’s say you’re on one side of a lake, and you need to get to the other shore (retirement) as quickly and safely as possible. In front of you are a few different types of boats. You see a canoe, a sailboat, a speedboat, and a barge. Which do you take? Traditional financial planning would suggest that if you’re young, you take the speedboat (fast and risky) to start, and then switch to the barge when you get closer to the other shore, because it’s slower and safer. If you’re older, then take the barge of course, because that’s less risky (or is it?). Now here’s how our Performance Based Investing team would attack this problem. First, we’d do a thorough analysis of the lake conditions, as well as the safety of each of the boats. We’d then choose the fastest boat that was equipped to handle the current lake conditions. That’s how our journey would start. 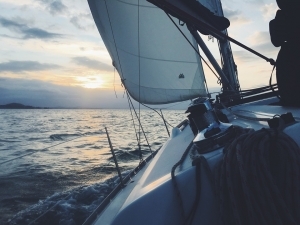 Now, along the way, traditional financial planning would suggest you switch boats gradually, and only based on age … regardless of how each of those boats were performing or even if one was sinking! Sounds like a crazy way to approach this, right? The Performance Based Investing team would do something entirely different. Along the journey, we’d continually analyze how each boat was performing, how lake conditions were evolving, and if there was another vessel that we could switch to that would get us to our destination faster. So let’s say we began in the speedboat, but quickly realized that the lake conditions were too choppy, and we needed the safety and resilience of a barge. We’d immediately jump in the barge. As conditions improve however, and we see the speedboat passing us by, as long as the speedboat still meets certain safety considerations, we’d jump right back into the speedboat. Now the winds pick up, and all of a sudden the sailboat that has been way behind the whole time starts to pick up speed. As it passes us by in our speedboat, we again ensure the safety of the vessel, then hop right into the sailboat. By always using the vessel that is moving the fastest in the direction we are heading (but still meets our safety requirements), we are able to get to our destination faster and more securely. Sure … it’s a lot of work doing all that analysis, but I can assure you it’s worth it in the end. So that’s Performance Based Investing in a nutshell. 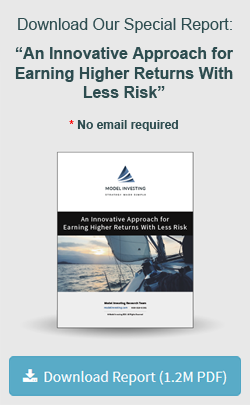 At Model Investing, we’re pioneers in the field of Performance Based Investing. We’ve spent years analyzing data and researching which indicators are reliable and which aren’t. Over that time, we’ve developed a series of Investment Models to automate our analysis and decision making processes. With thousands of data points to track and analyze, a normal human brain (or a team of them, for that matter) cannot effectively juggle that much information. It’s simply too much. So we’ve developed algorithms to do this for us. Not only does this make our analysis more accurate, it reduces the time and energy involved, which … you guessed it, reduces our overall costs. This allows us to serve our clients at a very reasonable price point, and meet our long-term goal of providing exceptional investment strategies for less than the cost of a monthly gym membership. No matter how you invest, we have an investment model that can help you successfully navigate the changing conditions ahead. If you’re interested in seeing what Performance Based Investing can do for your portfolio, I’d encourage you to take a look at our investment models. 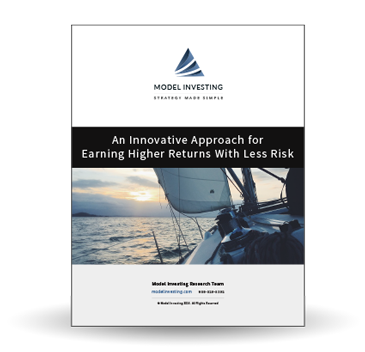 We’ve developed specific investment models for 401(k) investors, Thrift Savings Plan investors, and even those investing outside the confines of an employer sponsored retirement plan. Using our advanced investment models, you can reap the benefits of Performance Based Investing in as little as 5-10 minutes each month.